It's official: Microsoft Dynamics 365 has been released! 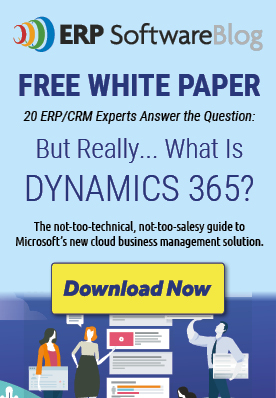 But what exactly is Dynamics 365 and how is it different from Dynamics CRM or Dynamics AX? We're embarking on a new blog series focused on Dynamics 365 where we'll be taking a deeper look into this revolutionary new solution in blog posts, webcasts and more to help answer your questions and concerns. The first entry in our Dynamics 365 Deep Drive series serves as an overview. Here you'll find basic information on the product including features, options and pricing. Stay tuned, there will be lots more to come! Dynamics 365 is a brand new cloud service from Microsoft that repackages what used to be called Dynamics CRM Online into applications. 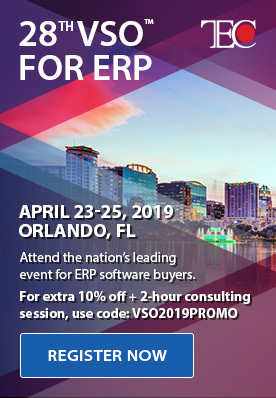 The more robust version - Dynamics 365 Enterprise Edition - combines the former Dynamics CRM and Dynamics AX, which is an Enterprise Resource Planning (ERP) application. Now, Dynamics AX will be just one of the apps available within Dynamics 365. What is included with my Microsoft Dynamics 365 purchase? PowerApps provides utilizes a no-code method of constructing mobile apps with specific functionality. As an example, you could create a time and expense app that runs on mobile devices and updates data in CRM. The types of apps created with PowerApps should be thought of primarily as task-specific apps. Flow is a workflow engine that works with third party services and across all Dynamics 365 apps. Flow is Microsoft's version of IFTTT or Zapier (if you're familiar with those apps). How much does Microsoft Dynamics 365 cost? In the case of Dynamics 365, pricing is, unfortunately, a little more complicated than just giving a number. First, one must consider that there are two different editions of Microsoft Dynamics 365: Enterprise and Business. The Enterprise Edition is for organizations with over 250 users; the Business Edition is for companies with between 1 and 250 users. $40 per user per month for full users. This price is currently for Financials (accounting) only. The Business Edition Plan, although not yet released, will be $50 per user per month. It will come equipped with new Marketing, Sales and Customer Service modules that have yet to be defined. These apps will be a lighter version of the features currently found in Dynamics CRM Online. Plan 1 is $115 per user per month and includes Sales, Marketing, Customer Service, Project Service, Field Services, Power Apps, and Flow—but not Operations (ERP). Plan 2 is $210 per user per month and includes everything, including Operations. Microsoft is also introducing a Team license for $10 per user per month. Think of this as a very light user license for $10 (mostly read only, with some ability to create activities and notes). Again, these are list prices only. If you are close to purchasing or renewing, please contact us. AppSource is the App Store for Dynamics 365 that lets you review and purchase apps and extensions. It's similar to what you would find on your mobile device in the Apple App Store or Google Play. This will become the new way of finding and installing apps and extensions. Does Dynamics 365 Integrate with Office 365? Yes! Dynamics 365 is mostly a rebranding, so thanksfully integration with Office 365 will be largely unchanged. There is however a new Outlook integration that looks promising - adding new features and improvements over the current Outlook client. There is a lot of information surrounding Dynamics 365 which we fully plan to review with you in the coming months. We are very excited about the direction in which Microsoft is headed, the capabilities that they have added and all their plans for future development. Attend our upcoming webcast on January 18th to see Microsoft Dynamics 365 in action. Learn more here: Microsoft Dynamics 365 Deep Dive Series – Introducing a New Generation of CRM and ERP. Stay tuned for more in our Microsoft Dynamics 365 Deep Dive Series! My 30-day experiment: Can I Run My Small Business on Dynamics 365? Does Dynamics offer periodic subscription type billing, usage billing and itemized telecomms type billing?